There are few train journeys in the world that are able to make an impression on people. 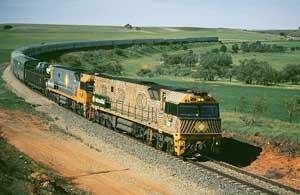 There is the Orient Express, Eurostar, the French TGV and then there are the Ghan and the Indian-Pacific in Australia. The Indian-Pacific is an interesting train in that it runs from Sydney, on Australia's east coast to Perth on Australia's west coast via Central NSW, South Australia and a substantial slice of Western Australia. It has been running since the 1970's and despite having been renovated a number of times, it is starting to show its age a bit but it is still one of the world's more interesting railway trips. The journey starts in Sydney, Australia's biggest city and then runs through the Blue Mountains, west of Sydney, towards rural NSW and the regional centres of Orange and Parkes. From Parkes the train travels on to Broken Hill, a major Australian mining centre, where it stops for a few hours to enable the passengers to take a tour of Broken Hill while the train crew clean up the train and refuel it. Continuing the journey from Broken Hill it is on to Adelaide via rural South Australia. In Adelaide the train again stops for a few hours to be serviced while the passengers take a tour of Adelaide city. Leaving Adelaide the Indian Pacific travels via Port Augusta onto the Nullarbor Plains. Not a tree to be sighted here for a couple of hundred kilometres of straight running. The township of Cook, population 2, is a bit of a stop-off for people to sample the real Australian desert where temperatures vary between minus 5C to plus 45C. It does get warm out there. 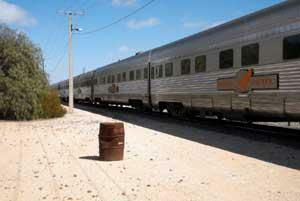 From Cook the train travels to Kalgoorlie, one of Australia's main gold mining towns. Here travellers are able to take a tour of the world's largest open-cut gold mine. 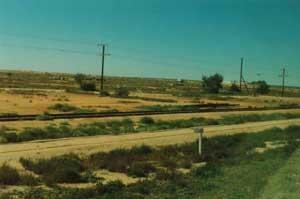 And then, the train travels from Kalgoorlie to Perth, on the west coast where it terminates. In terms of what is offered on board, the standards vary. There is the Gold class accommodation that comes with reasonably comfortable sleeping compartments, dining in the restaurant car and a lounge car. 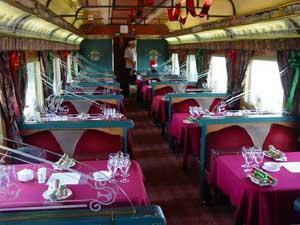 Two other class levels offer compartments and a buffet car while the lowest class offers seats and the availability of meals in the buffet car. As I mentioned, the train is a few years old now and it is in need of greater comfort levels and refinement but apart from during the Orange to Broken Hill via Parkes section of track, which is rather disgustingly rough, the remainder of the journey is fairly comfortable and at a leisurely pace. I also think that the company, Great Southern Railways needs to put more emphasis on quality control, especially in Sydney where things tend to get a bit chaotic prior to departure. Overall though, with some minor reservations, the Indian Pacific still is one of the best train trips available anywhere around the world. 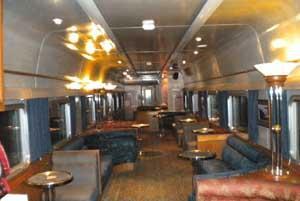 Recommendations: The Indian Pacific is safe to travel on and is reasonably comfortable. Flying to and from Perth prior or after the journey, Virgin Blue has the better packages. In Perth, the Kings Perth Hotel is good. It is not a five-star hotel but it is close to all of Perth's facilities and good value for money. Consider taking some of the local tours. The best options are available with Pinnacle Tours, located next to the Kings Perth Hotel. And, enjoy. 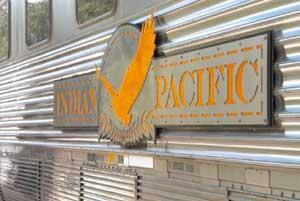 Ratings: Indian Pacific: 71 out of 100. If you're interested in more tour ideas with local people, you can check out Verramente tour guides.